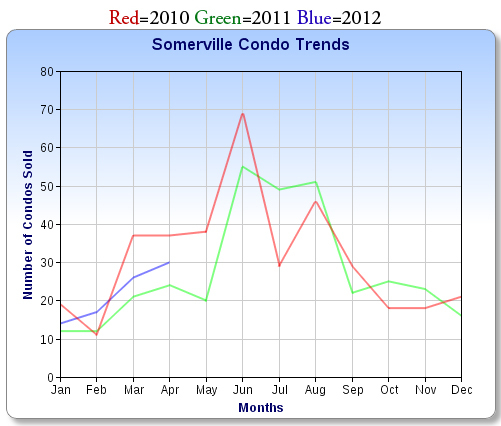 Somerville condo sold $ volume YTD is up 21.9% from the end of April last year. 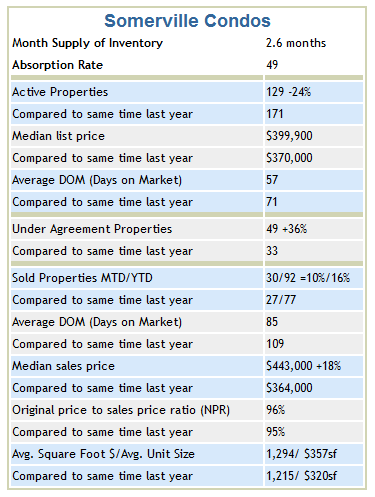 ~ Sold average days on market dropped by over 3 weeks to 85 days. 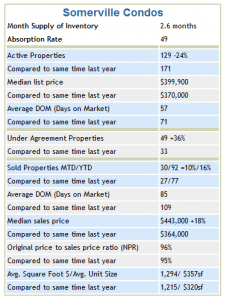 The original price to sale price ratio increased to 96% of the original list price. 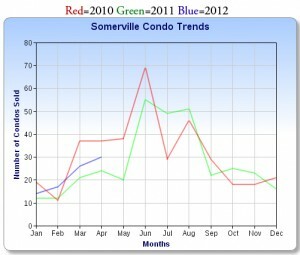 ~ The average square foot price increased by $37 to $357 per square foot with the average condo size at 1,294 square feet.